We are proud to announce DIETFIT Malaysia as Official Nutrition Partner for BDB JITRA CHALLENGE 2018! Introducing the 3rd edition of the only “Obstacle Run” in Kedah with brand new course & obstacles. 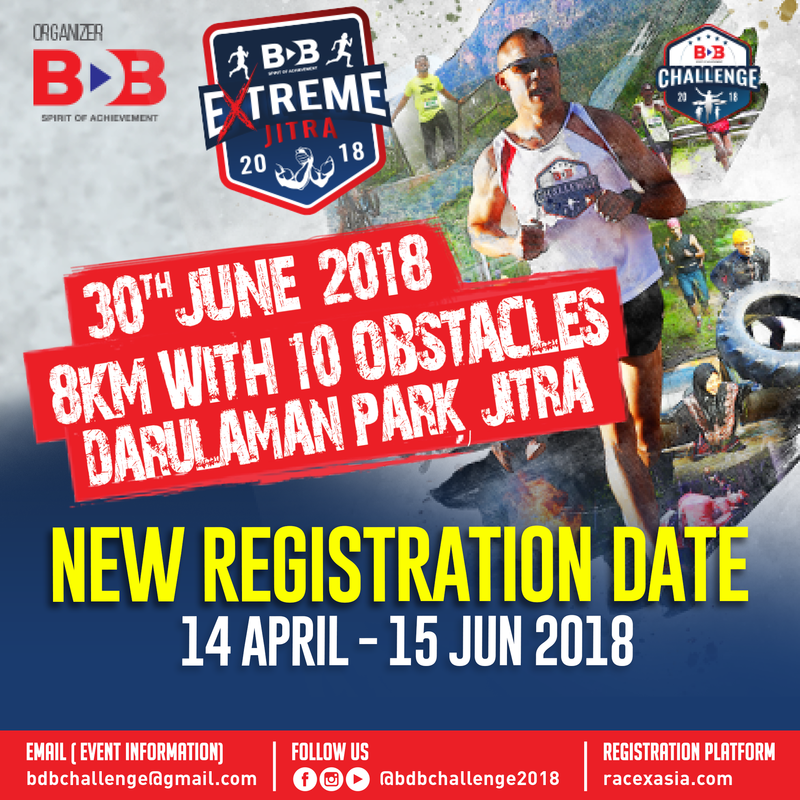 Registration is now open until 15 June 2018 and don’t forget to be a part of this epic event @ Darulaman Park, Jitra this coming 30th of June 2018.